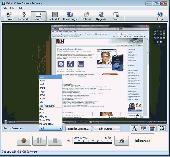 Weeny Free Video Joiner is a free video joiner software to join multiple video files into one large video file. Weeny Free Video Joiner can join video files from 3gp, asf, avi, flv, mp4, mpg, rm, rmvb, vob, wmv and more to 3gp, avi, flv, mp4, mpg or wmv files. If you want to get free license of video editing software , come here! We will do giveaway randomly. All of our users will get life time free license code. Meanwhile you are highly appreciated for your "Share" & "Like". WinX Free FLV to WMV Converter is free video converting software that free converts videos from FLV to WMV for playback on Windows Media player and WMV compatible video players. This free FLV to WMV video converter is 100% free and clean.